India’s biggest travelling film festival, the Jagran Film Festival, in its 8th year, is back again to take cinema beyond boundaries, to build awareness and create conversations around cinema and culture. The Festival will begin on July 01, 2017 in Delhi’s socio-cultural hub, the Siri Fort Auditorium. Over 130 film screenings will take place with a stellar line-up of films from across the world. Some of the prominent sections of the Festival are World Panorama, Indian Showcase, Jagran Shorts, Jagran Discovery, Country Focus and the Retrospective of films. This year’s schedule also introduces a ‘Knowledge Series’ in alliance with Barry John Acting Studio. This new program will be held in each of the 16 cities in accord with the festive spirit. Another first in the 2017 edition is the launch of Cash Awards for winning films across some categories. The jury comprises five members who will select this year’s winners across various award categories. A new addition to the festival line up is a section titled “The Achievers”. This will feature biopics from across the world. The Jagran Shorts category, an International competition for short films to support upcoming film makers across the world, will have films from countries like Turkey, India, Greece, US, Iraq, Kazakhstan, Latvia, Morocco, Spain, Sri Lanka, and Czech. It includes films like Punchline, I Want, Flow, Hiccups, Conecta2, Tradition, We’ve Got Company, Kohl, Mazhabi Laddu, Projection amongst others. The International Feature, aims to bring the best of world cinema spanning a range of cinematic approaches, narratives, styles and innovation. It will have films from Macedonia, Egypt, Brazil, India, Netherlands, Russia, Turkey, China and other countries. Major films in the line-up include Purple Horizons, Black Cat, Pretty far from OK, Side-B, The Bench, Loveless, Oh Lucy, Charlotte, and The Dock amongst several others. Another new addition to JFF is a section titled “The International Documentary”. This will showcase documentaries from Israel, India, Syria, Mozambique and Germany. The screening list includes award winning films like A Memory in Three Acts, India has no name, Babylon Dreamers, From the edge of Sanity and The Art of Moving etc. The Indian Showcase section will have movies like Amaraavati (Kannada), Anarkali of Arrah, Angamali Diaries, Antareen (Assamese) , Charandas Chor, Doctor Rakhmabai, Hindi Medium, Mukti Bhawan, Jolly LLB 2, Martin(Konkani), Messi(Bengali), Naam Shabana, Pink, Posto (Bengali), Rama Rama Re (Kannada), The Ghazi Attack, Tope (Bengali), Trapped, Veeram (Hindi) etc. 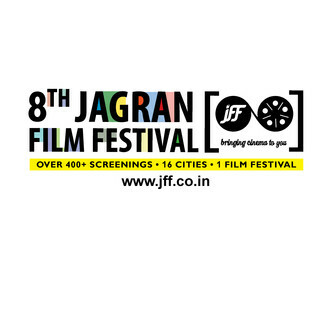 This year the Jagran Film Festival received film submissions from 152 countries. Of these, it will screen movies from 51 countries in 26 languages. Mr. Basant Rathore, Sr. Vice President Jagran Prakashan Limited said, “It’s extremely heartening to see the response to JFF from both film makers and film viewers. Through the festival, Jagran becomes the harbinger for culture, education, leisure and community bonding. We do hope that this year’s festival creates a far reaching impact, and we’re able to connect stories with audiences and create a high quality cinema culture across India”. The 2017 edition of Jagran Film Festival will travel from Delhi to the Indian hinterlands of Kanpur, Lucknow, Allahabad, Varanasi, Patna, Dehradun, Ranchi, Jamshedpur, Bhopal, Indore, Hisar, Ludhiana, Meerut, Raipur, and culminate in Mumbai. Jagran Film Festival achieves a place in the list of top 20 Film Festivals!